By Elizabeth Adéwalé, CARE Niger. When the mother of two from the village of Hamdallaye, about 30km from the capital Niamey, lost her husband, her situation was dire. “I didn’t know how to support myself and my children. It was the most difficult moment of my life,” she recalls. Hadjo signed up for as many trainings with CARE as she could, including courses in leadership and public speaking. With her financial position in better shape, she then took a bold step in a very new direction, running for a position in her local commune (district). “After discussing with my VSL women, they gave me their support,” says Hadjo. 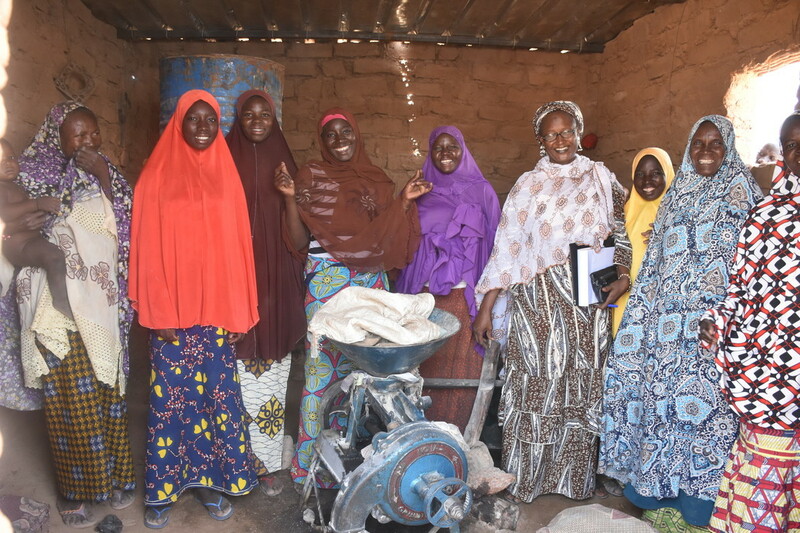 The women of her community voted wholeheartedly for Hadjo, helping her succeed in a role that has enabled her to fight for their needs and their voices to be heard. “I’m now the president of the commune’s Social Affairs Committee which plans for communal development, and I can make sure gender is taken into consideration while developing our plans,” she says. Hadjo’s energy and enthusiasm are well known throughout the commune, and she is widely respected for her work. Hadjo regularly visits villages and asks women their needs which she then advocates during council meetings and directly to the mayor. While Hadjo rejoices in her achievements, she feels there is still a great deal left to be done. “All these successes were through the training I received from CARE. Thanks so much to CARE, my unforgettable school,” she says. « But out of fourteen councilors in our commune, we are only two women. If I had one wish, it would be to see more women councilors. Read more about CARE's work in Niger here.